Join lovable, furry Grover and celebrity host Anneliese van der Pol (That’s So Raven, Broadway’s Beauty and the Beast)as they travel to Israel to meet new people and learn new things in this 12-part DVD series co-produced by Sesame Workshop, the nonprofit organization behind Sesame Street, and Israel’s Channel HOP! Designed to help bring the vitality of Jewish culture and tradition as well as the diversity of Israeli life to American children and their families, each 30-minute, live-action and animated DVD will focus on storylines drawn from Jewish cultural traditions, highlighting lessons on Hebrew letters and words, unique sites in Israel, and Jewish values. Shabbat Shalom, Grover! - Grover can’t seem to figure out why everyone is so busy just before a day of rest. Join Grover as he learns all about Shabbat, and sing along to Avigail’s favorite Shabbat song, Bim Bam! Guest appearance by Cedric the Entertainer. R/T: 28 minutes, extras 27 minutes. 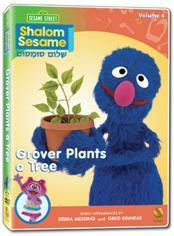 Grover Plants a Tree - It’s Tu Bishvat! Grover, Brosh and Avigail get back to nature as they learn how to plant trees and make the world a better place. Guest appearances by Debra Messing and Greg Kinnear. R/T: 27 minutes, extras 26 minutes. Mitzvah on the Street - When a storm makes a mess of the neighborhood, everyone lends a helping hand. In the meantime, Grover is invited to a Bar Mitzvah in Jerusalem. Come join Matisyahu and Oofnik as they beat box the Hava Nagila. Guest appearance by Matisyahu. R/T: 33 minutes, extras 22 minutes. We love Sesame Street, it's one of our absolute favorite shows in our home. As a mother I have come to love these lovable little monster's that teach my little one's the importance of manner's and educational lessons through this adorable platform. I watched Sesame Street as a child, and now my children watch Sesame Street, simply the amount of time that this show has been around speaks VOLUME'S for the content! That being said, we were excited to learn about the all new Shalome Sesame Series of DVDS! Teaching our little one's about other cultures is a priority for us, and what better way to do that than through their lovable furry friends from the cast of Sesame Street?! We had the opportunity to check out Shalome Sesame: Mitzvah on the Street. What an amazing DVD! Not only was it entertaining, it taught the importance of community and coming together in difficult times to help those around us who may be in need. The kid's loved watching Grover attend the Bar Mitzvah in Jerusalem, and learning about another culture and area of the World. We absolutely love the Shalome Sesame series, and plan to check out additional titles from the series soon! Educational & FUN from the lovable cast of Sesame Street! One Lucky Reader will receive Shalome Sesame: Mitzvah on the Street on DVD! Leave a comment~ Which other title from the Shalome Sesame series would you like to check out with your little one's? The comment is considered your entry. 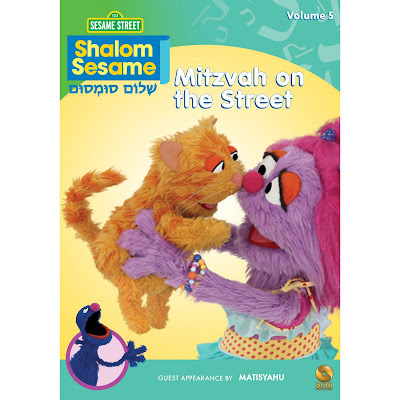 2) Tweet ~ Sesame Street's Lovable Furry Friends in: Mitzvah one the Street on DVD #Win @savvycouponmom http://bit.ly/dEAfHehttp://bit.ly/eGvWg #Giveaway (can be repeated twice daily for additional entries~ copy paste please~cut and paste- the bit link must be posted in the tweet - I will check) (Additional 5 Entries - 5 Comments). 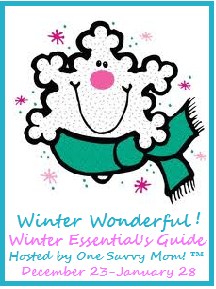 Entry to this giveaway ends at 12pm PST February 21, 2011. Winner's are chosen randomly through random.org. The winner will be announced in a post within 7 days of the giveaway ending, and contacted through email. The winner will have 48 hrs. to respond or another winner will be chosen. Shalom Sesame New Series Vol. 1: Welcome to Israel looks interesting. Entered the Thomas & Friends: Wobbly Wheels & Whistles on DVD Giveaway. I'd also like to check out the "welcome to israel" dvd! Since there's so many movies about Christmas, I think Shalom Sesame New Series Vol. 2: Chanukah would be good, because it could teach kids about this holiday. So many great choices with the new Shalom Sesame Street. Would love to see Shabbat Shalom Grover. Thanks for the fun. I follow on GFC and I'd like Grover Plants a Tree. The other Shalom Sesame dvd I'm interested in is the Chanukkah one. I follow on GFC.